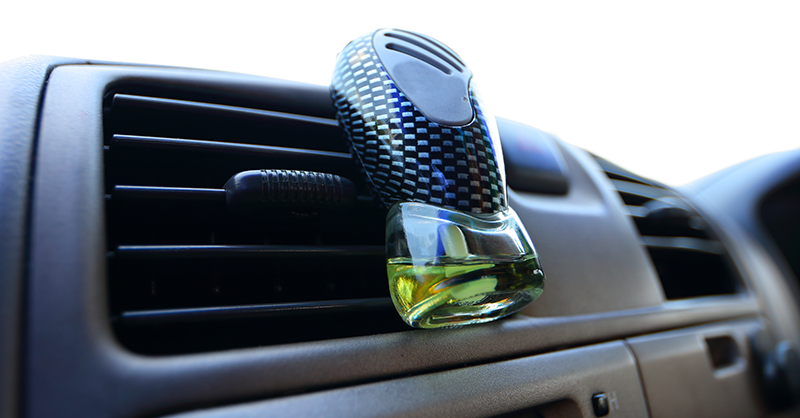 All vehicles take on an odor after a while. It can be from the kids, dirty clothes or that late-night fast food trip. Fortunately, getting rid of those foul smells doesn’t take much work, so long as you know what to use. Deodorizers, on the other hand, work on a microbial level by attacking airborne germs. Air sanitizers are especially popular in hospitals for their ability to kill cold and flu viruses. The products typically come from an Aerosol can, though gel canisters are growing in popularity. Clean the interior, find source of odor: Perhaps the kids left cheddar crackers in the backseat. Maybe cigarette smoke lingers in the seat cushions. Whatever it is, clean and vacuum thoroughly before deodorizing for best results. Don’t ignore the label. Sometimes a couple of sprays is all you need. Too much can be problematic, creating sticky surfaces for dust to cling to. Choose your delivery system. Sprays, vent clips, gels, waxes and cardboard cutouts permeate the market. Heat often determines the lifespan of the products. An air freshener left in a room-temperature environment lasts longer than one exposed to intense heat and wild fluctuations.